The search for the 2017 Porsche Asia Pacific Driver of the Year kicked off with the launch of the region-wide Licence to Thrill campaign. 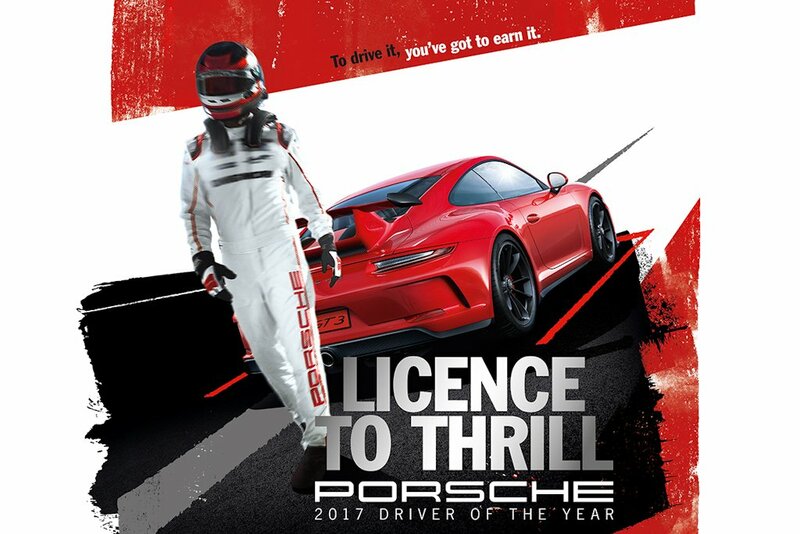 Seeking the region’s best and most skilled drivers, this year’s competition comprises two qualifying rounds which will put knowledge, skill, and passion for the wheel to the test for the chance to win the title and a fully sponsored trip to the Porsche Experience Centre in Los Angeles, USA. To enter, participants from Asia-Pacific region must first do an online theory test on this website no later than July 31, 2017. The top 30 performers will then qualify for the next round of the competition, which will test skill and driving flair in a series of unusual and exhilarating practical tests held at Sepang International Circuit in Malaysia on 8th September 2017, including painting the number ‘718’ on the track surface while driving the 718 Porsche Boxster with a drilled pot of paint mounted on the car, or doing a gymkhana in reverse with the Porsche Macan. The Porsche Asia Pacific Driver of the Year competition is unlike any other. It takes skill, passion, and flair – invaluable qualities the Porsche brand prides itself on, and it is through this competition we celebrate this passion with our drivers.